This product will protect your car from leaking battery acid. 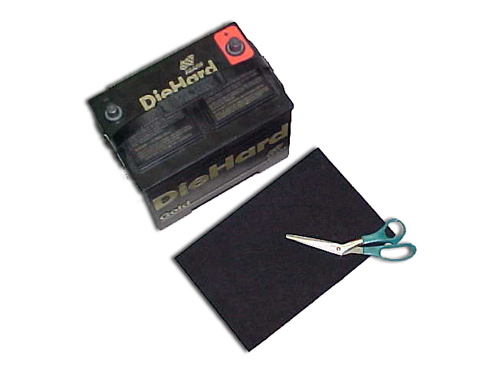 Oversized, cut to fit with household scissors slightly larger than your battery base. Neutralizes battery acid before it gets to your painted parts.